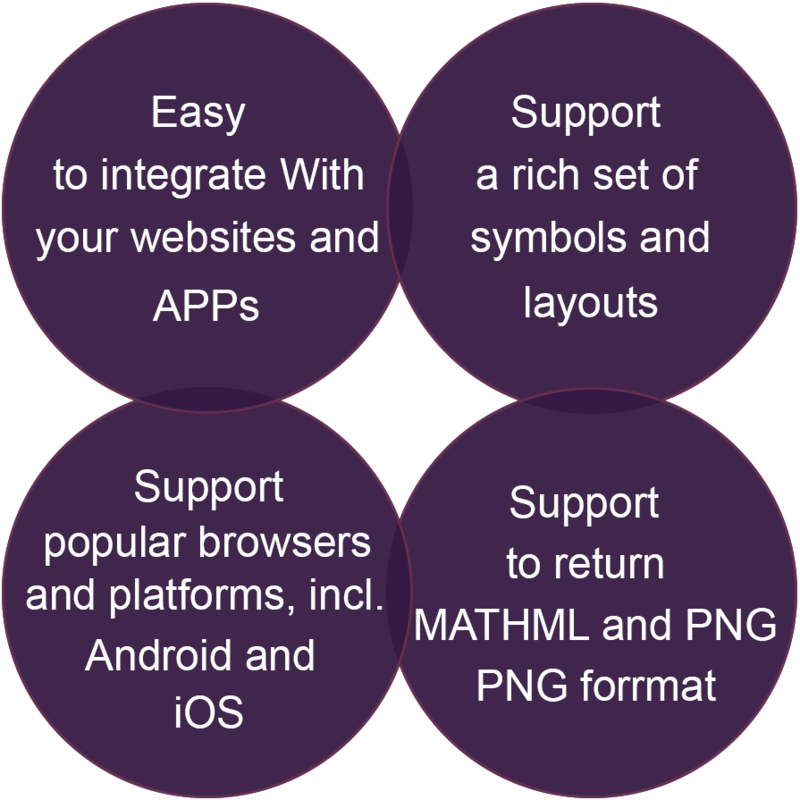 iMathEQ provides an easy and affordable solution to add mathematics formula editing function to your webside or APPs. It allows your students or customers to chat, discuss, blog, publish mathematics and science anywhere. 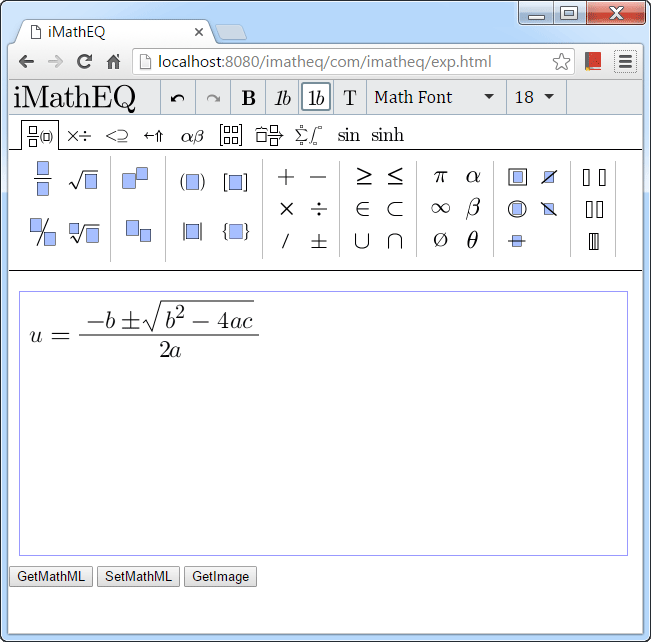 Using iMathEQ editor to create up to 1000 equations per annum. The total number of users is less than 10. * limited to 1 server installation and for 1 domain. Limited to current version of software (1.0).